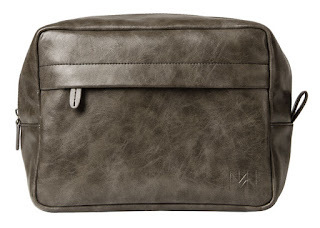 Give the special man in your life the gift of Miche style with our handy Dopp Kit. Marbled graphite faux leather design features a large exterior zippered pocket, carrying/hanging loop and debossed monogram logo. Sturdy and built to “take it,” this men’s accessories essential is roomy enough to hold all his most important toiletries. Non-interchangeable; silver hardware. Dimensions: 10” long x 7 ½” wide, with a 5” gusset.